St Grizzle’s School For Girls, Gremlins And Pesky Guests was kindly sent to Eva to read and review. This is the fourth book in the series, written by Karen McCombie, illustrated by Becka Moor & published by Stripes, an imprint of the Little Tiger Group. This hilarious series follows Dani and her entertaining adventures at St Grizzle’s. A flood closes the village school so Dani’s fun & quirky headteacher Lulu invites the staff and pupils to join them at St Grizzle’s school. Dani & her friends can’t believe it, they bump into sneery Spencer and his annoying friends in the village enough as it is! Now, they will have to share lessons with them too, what could be worse? It doesn’t take long for pupils to clash, there are constant pranks and even the teachers aren’t getting on! To top it all, St Grizzle’s school show rehearsals are underway and it’s turning into a disaster! The story is about Dani and her friends having to share St Grizzle’s School For Girls with the Twittering primary school children. The Twittering primary school children try to make the school more sensible. My favourite part is when they were at Twittering primary school for their school fair. It is a really funny book with lots of silly pranks! 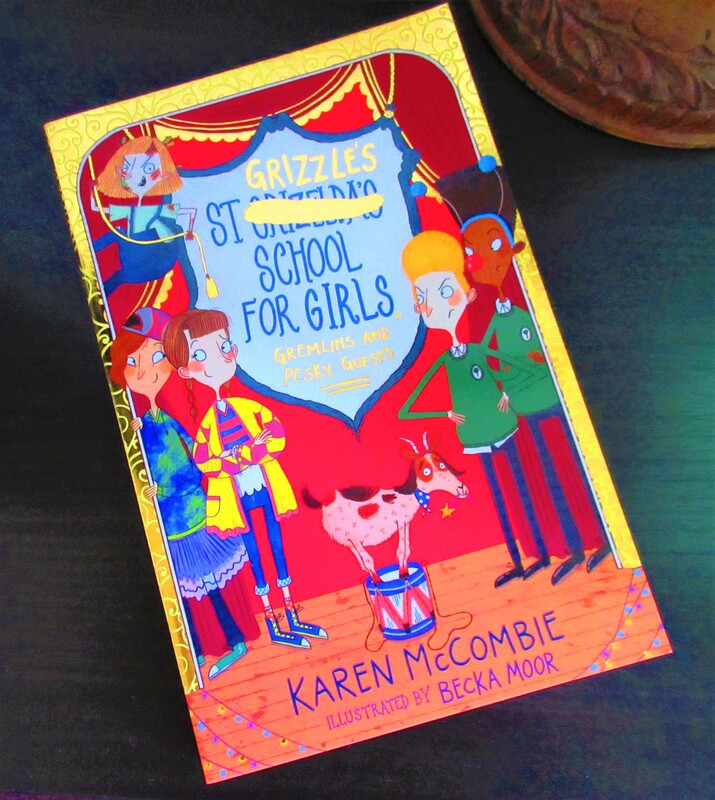 St Grizzle’s School For Girls, Gremlins And Pesky Guests is available on Amazon for £5.99. You can also find it in Waterstones and WHSmith. 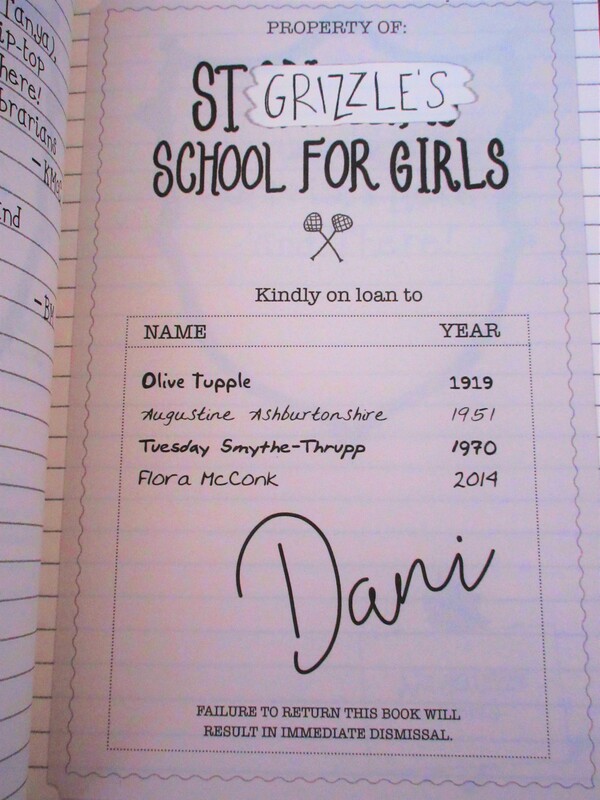 St Grizzle’s School For Girls, Goats And Random boys – Book Review, St Grizzles School For Girls, Ghosts And Runaway Grannies, and St Grizzle’s School For Girls, Geeks And Tag-Along Zombies. We love this series and think it’s a great book for children aged 7-9 years like Eva, who really enjoys quirky, funny story lines. Do you know someone who would love to read this too?